Qatar Airways has bought a 25 per cent stake in one of Moscow’s largest airports for an undisclosed sum as the company attempts to overcome the Gulf blockade of the emirate. This reported by Financial Times. Akbar Al Baker, chief executive of Qatar Airways, said on Monday that the airline expected the deal on Vnukovo to be concluded within the next eight weeks. The airport, Russia’s third-largest, served 18m passengers last year and is used by the government for official travel. Businessman Vitaly Vantsev and partners own a 74.9 per cent stake of Vnukovo. Mr Al Baker did not say whether he was buying from Mr Vantsev, but Russia’s state property management service said it had no plans to privatise its 25 per cent stake. Qatar’s emir, Tamim bin Hamad Al Thani, visited Moscow on Monday for a bilateral meeting with Russian president Vladimir Putin, a vital international partner, as the blockade by Saudi Arabia and other Gulf countries continues to harm the emirate’s economy. 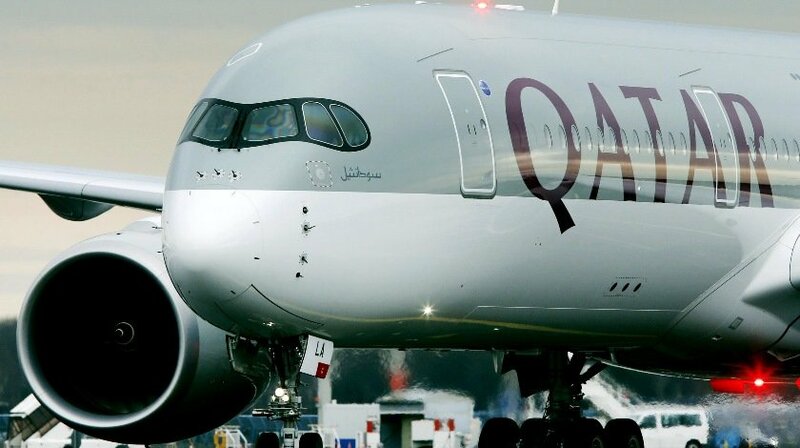 Until the blockade was imposed in June, Qatar Airways had bucked a downturn in Gulf airlines’ performance, posting net profit growth of 22 per cent to $541m in the 2016 financial year. But the blockade immediately closed off 18 destinations and while Qatar has refused to quantify the impact, it is likely to be incurring huge costs on rerouting aircraft. The airline has gone on the offensive, acquiring stakes in Hong Kong’s Cathay Pacific and Italy’s Meridiana to boost traffic. Qatar has invested significantly in Russia in recent years. Qatar Investment Authority, its sovereign wealth fund, bought a 25 per cent stake in St Petersburg’s airport in 2016 for €238m together with the $10bn state-run Russian Direct Investment Fund, which co-invests with foreign investors in Russian companies. Later that year, the QIA headed a consortium with commodities trader Glencore that took a 19.5 per cent stake in Russian state-owned oil company Rosneft for €10.2bn. The consortium then struck a deal in September to sell 14 per cent of Rosneft to mysterious Chinese commodities house CEFC for $9.1bn, with much of the financing coming from Russian state bank VTB. However, that deal is under threat after Chinese authorities detained CEFC founder Ye Jiaming last month and Chinese state-owned conglomerate Citic, which is wary over US sanctions against Rosneft and its chief executive Igor Sechin, considered taking a stake in the company. Glencore has said it still expects the deal to close in the second half of 2018.